We always look forward to Truro College of Art & Design's annual exhibition, showcasing designs from students creating show stopping displays. 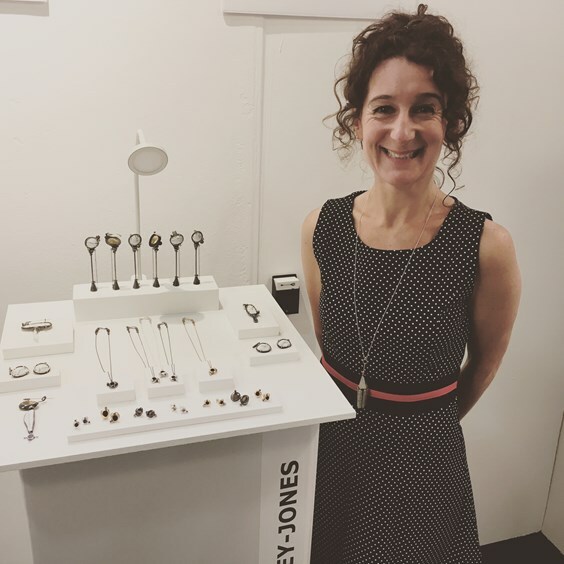 Here at Kernowcraft, we were honoured to sponsor the jewellery award and pleased to hear that Monique Jeffrey Jones stole the show, winning for the second year running. The Page Turner event was held at Lemon Quay in Truro, Cornwall and was the 12th annual exhibition. It's a wonderful exhibition, giving the chance to view artists and designers of the future take their first steps into the creative industry. We are so happy to welcome Monique back here on the blog, to chat about winning the award, the inspiration behind her impressive designs and what the future holds now that she has graduated. "Winning the Kernowcraft Award for the second year running at the Truro College Art and Design show was a great surprise and quite unexpected. "In the exhibition I was showcasing my final graduate collection of my B A Honours Degree. It is a continuation and development from my Moorland Brooch, which won last year. 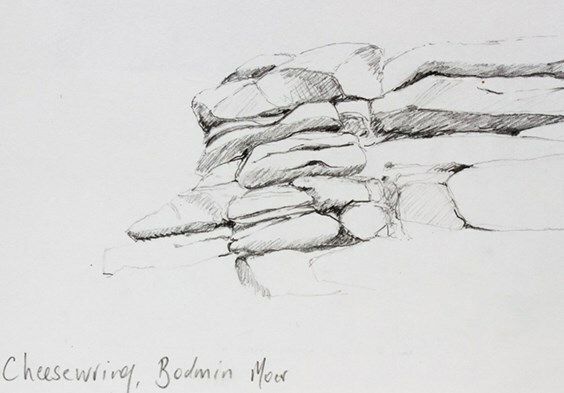 This collection again uses the imposing rock formations of Bodmin Moor in Cornwall as its source of inspiration. The large granite boulders of the Moor fascinate me. Through centuries of erosion they look imbalanced, precariously stacked upon each other, looking as though at any moment they could topple over. I am often drawn to irregular forms, incongruity and anything that isn’t quite symmetrical. 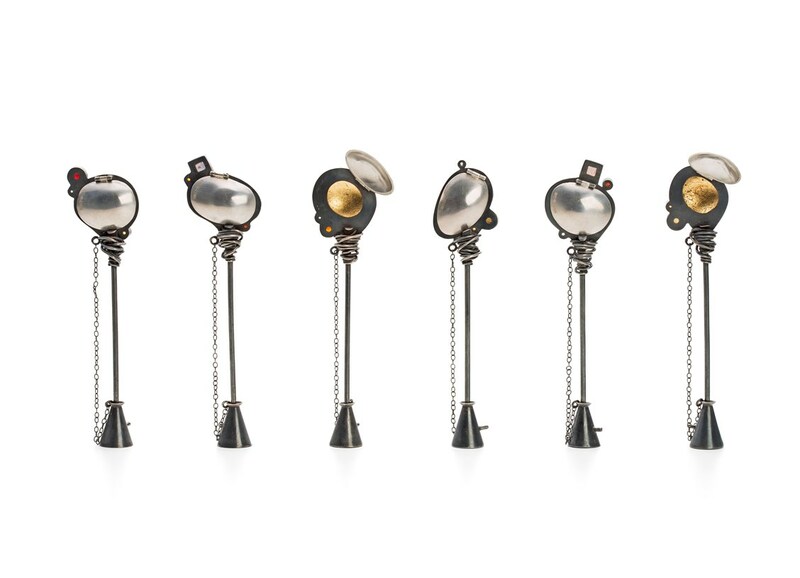 I wanted to use these impressive forms and translate them into my jewellery designs." "I am often asked, how do I think of my ideas? Or, how do I know what to make? It is not until I have travelled through the design process that ideas begin to develop. I start with my sketchbook, in this instance, drawing the granite rocks from source. From these I extract profiles and start to work with composition, maybe changing the orientation of my paper, adding colour, or repeating shapes or marks. Not until I have fully explored and developed a 2 dimensional design that I am happy with, that I progress onto a 3 dimensional copper model. I make this is to iron out any technical difficulties that may occur. Once I am confident that the copper model works aesthetically and functions successfully as a piece of jewellery, I begin the make in precious metal. "For my Moorland Pin Brooches I have used several techniques. The white ‘stone’ is vitreous enamel which I have claw set using 9ct gold. The various semi-precious stones I have used are a combination of tube and cabochon settings. To set these I used the traditional method of using the handheld pusher and burnisher. 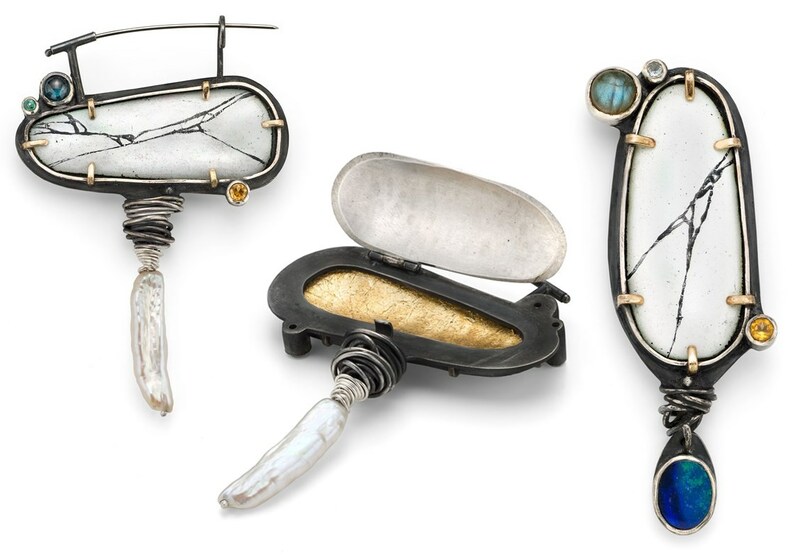 The brooches are sterling silver, which I have oxidised black with Platinol to give a stronger contrast to the stones and gold. 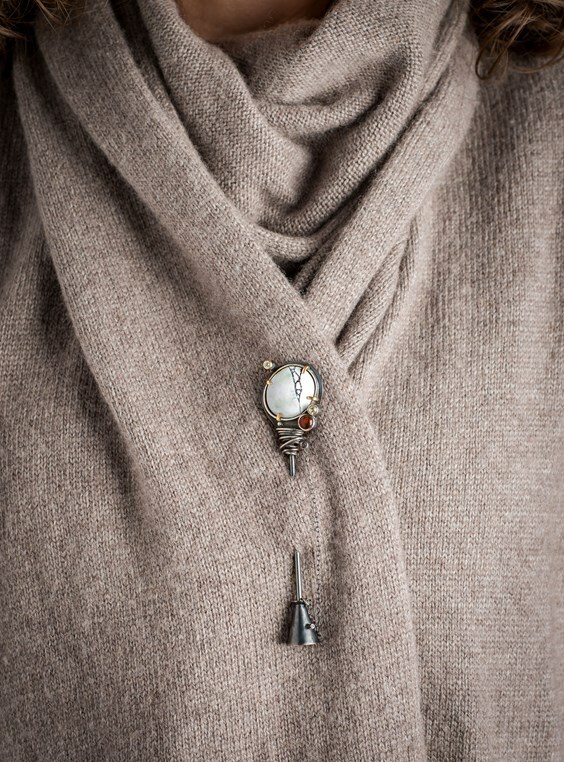 Inside the ‘foot’ of the pins is a spring mechanism that along with the rest of my collection, I handmade myself. This stops the bottom from sliding off the pin. "For me the best element to these designs is the secret compartment or locket on the reverse. Open the polished silver door and a flash of gold leaf is revealed. 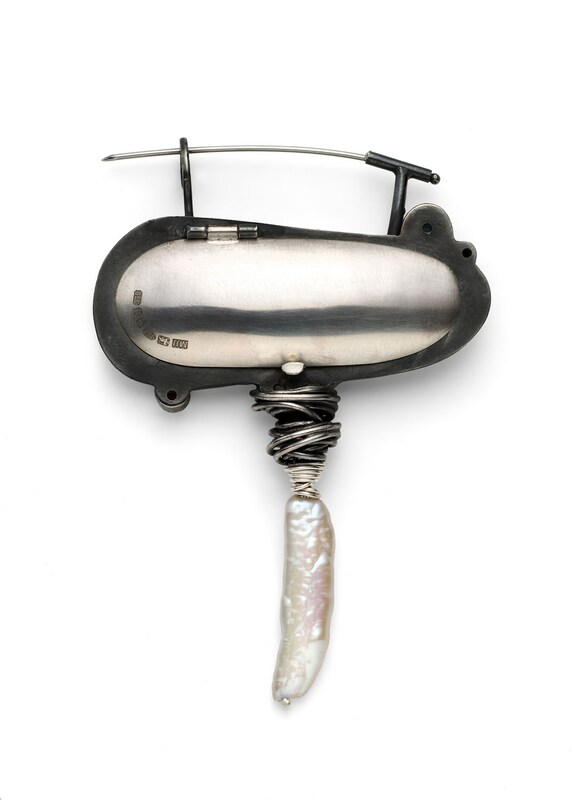 This is intended to be a private hiding place for the wearer to put something in, or nothing at all, the fact is that the viewer doesn’t know it exists." 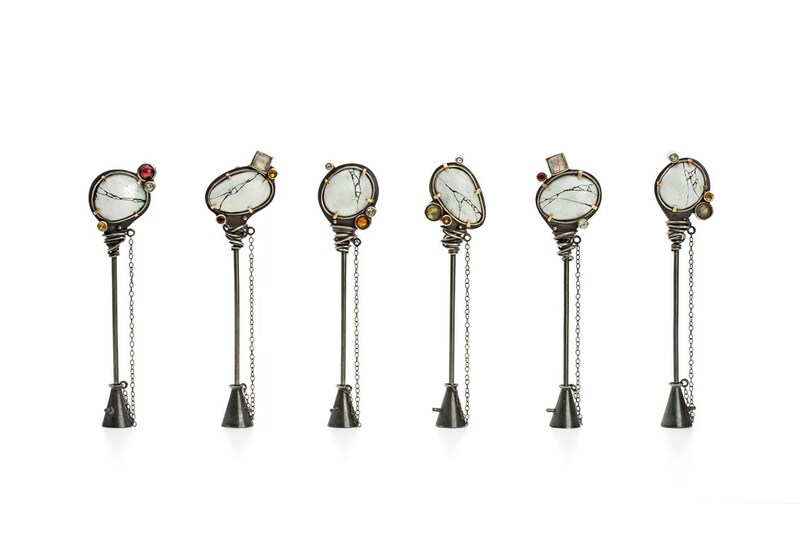 "This collection was made using traditional jewellery making tools, dome punches, mandrels, files, hammers and pliers. I didn’t need any expensive machinery, just good quality tools and a sturdy workbench. I would say my favourite element of jewellery making would be stone setting. I have always been attracted to beautiful stones and as a consequence have an ever-growing collection in my workshop, some of which came from Kernowcraft! I am often ‘window shopping’ their website checking out their latest collections. "I am looking forward to continue manufacturing jewellery and making a success of my business, now that I have recently graduated. I have a new website, which I sell from, that features my work and design processes. I can be contacted through this website regarding orders or general jewellery enquiries. I am excited to expand on my Moorland Collection with plans to develop rings, locket pendants and maybe even spoons, with hinged secret doors… watch this space!"